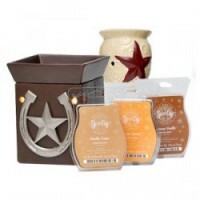 You are here: Home / Scentsy, Anyone? I am doing a Scentsy Party with Joanna from Raising Madison! 1. There is no flame. So if you burn your house down this holiday season? It will be because your tree is too dry, not because your yummy scentsy caught fire! 3. You don’t have to actually ATTEND a party. Nope, you can do all your shopping and buying right from your computer…in your jammies if you like! 4. Your order gets shipped to YOU, not me. So even though I am the hostess with the mostess over here, you get your product directly without the awkwardness of having to figure out a drop off/pick up. (this also means you can be anywhere in the USA or Canada and order). 5. If you make a purchase? You get put in a drawing for a free plug-in wamer (a $15 value) which is perfect for an office or a bathroom space. 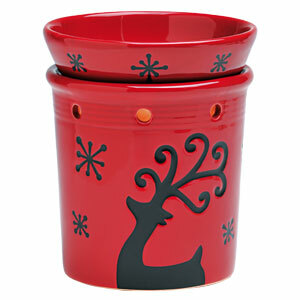 Prancer Full-sized Warmer is 10% Off! 8. There is a whole bunch of Close Out Items! You can get warmers for up to 20% off. 9. 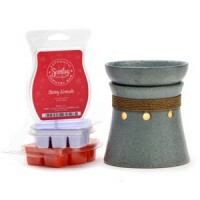 If you are not new to Scentsy, but want some refills? 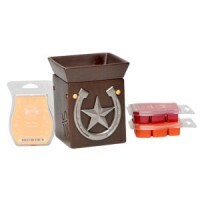 Your best buy is to go with the Scentsy Six Pack which gives you 6 bars for the price of 5. 10. And of course? These make really neat Christmas gifts! So have I convinced you? I hope so! If you click here it will take you to my “party” link. Tis the season to shop til you drop! Have fun, and thank you!!! psst. tomorrow is Top Ten Tuesdays. I am counting down the stuff on Eddie’s Christmas list. Won’t you join in with ideas for YOUR kids?